Designer handbags we saw on the Spring/Summer 2014 Fashion Weeks are now becoming available in stores, ready to take over the world’s fashion trends. If you haven’t picked your favorite bag yet, there’s still time. In this post, we will show you some of the hottest trends in women’s designer handbags for spring 2014. 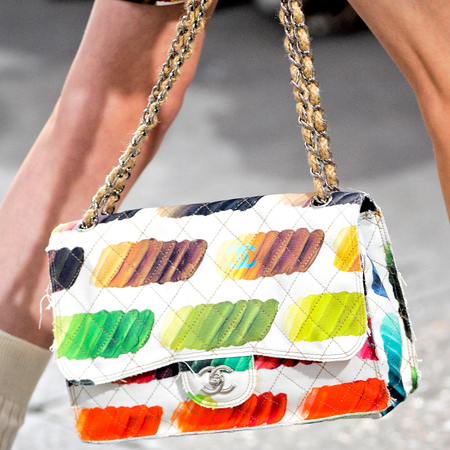 The Chanel Rainbow Flap Bag is on the top of our list of gorgeous women’s designer handbags for spring 2014. This bag is one of the best ways to make a fashion statement this season. Its bright, bold colors are a great choice of a spring/summer theme. This incredible handbag shows how art and fashion can combine together to create incredible products. Don’t be surprised if you see your favorite celebrity carrying around a Chanel Rainbow Flap Bags, because this is definitely going to be one of the top celebrity choices for designer handbags. Next in our list of top designer handbags for spring 2014 is actually a whole collection of bags. It is the Louis Vuitton NN14 bag collection. You literally won’t be able to take your eyes off these incredible designer handbags. This is set to be the IT bag of 2014 and will be the most sought-after by the faithful Louis Vuitton fans. The bags in the collection are made from suede, monogram canvas and leather. Each of them has a leather tassel closure and embossed leather handle. All models are ornamented with studs, crystals, sequins, feathers and metal buttons. 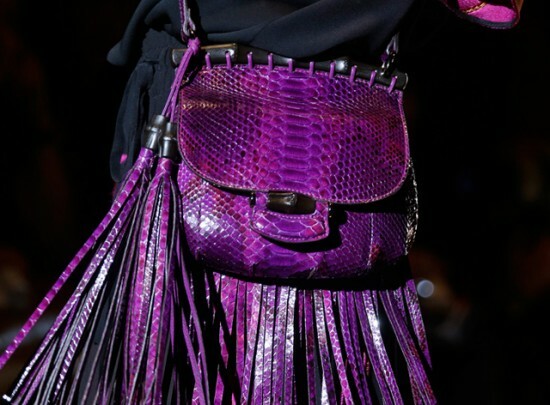 The Dior Crocodile Diorific bag is definitely worthy of your attention. It has pleated details seen in the main clothing collection. To that, you can add a load of hot glossy hues. If you can afford buying designer handbags, you should definitely give this bag a good thought. With a bag like that, you will certainly get everyone’s attention on the streets, because discretion is not what the new Dion bag collection is all about. 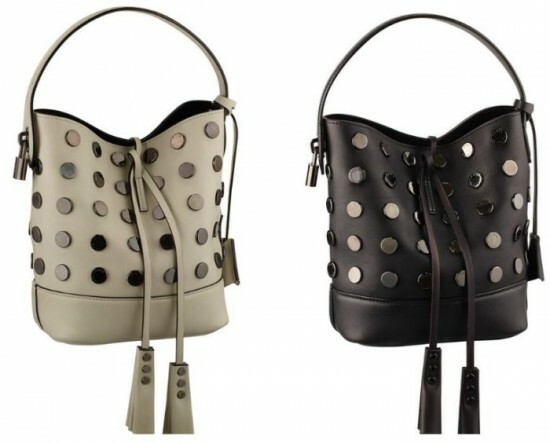 You can carry this bucket bag on your shoulder or across the body, since it features adjustable and removable strap. 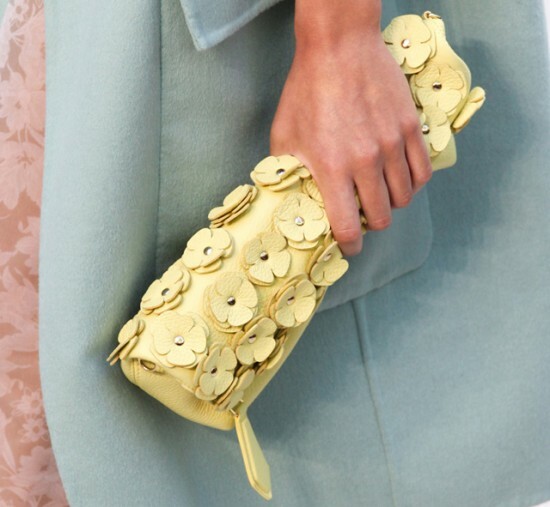 A really intriguing suggestion for women’s designer handbags for spring 2014 is the Burberry Petal bag. It is inspired by the classic English rose and features hand-applied 3D flowers, which hint at playfulness and British eccentricity. This handbag is also quite practical. It has a detachable cross body strap, internal pockets and a special iPhone 5S holder. It is available in deerskin, translucent rubber, alligator, canvas, curly shearling and embossed heritage grain. If you’re a fringe fan, then you will most certainly love the designer handbags in the Gucci spring/summer 2014 collection. The creative director Frida Giannini obviously has a tendency to add bohemian touches to the brand’s signature luxurious look. We can see this in the amazing collection of spring/summer bags. These bags make for stunning fashion accessories you can carry around with pride. And the colors are simply gorgeous. The new spring/summer 2014 collections of designer handbags have something to offer to every taste. If you can afford to buy an accessory like that, then we officially and innocently envy you. If not, you can at least check out some photos online and dream a little.